Liberals often proclaim themselves to be champions of female empowerment, but their disgusting treatment of women who hold different political views suggests otherwise. One thing Rubell may have neglected to consider is the irony of using “crumbs” to demean Ivanka. After all, “crumbs” is exactly the word Democrat House Speaker Nancy Pelosi infamously used to describe the thousand-dollar bonuses that workers received following President Trump’s historic tax cuts. Imagine if Rubell or any other liberal artist decided to portray Michelle Obama or one of President Obama’s daughters in the same dehumanizing light. Would that type of expression be lauded by the art community? The regressive left complains incessantly about poverty, tolerance and victimhood, so one might think that liberal elitists would prefer to applaud the great strides Ivanka has made for women in the workplace, or, alternately, pay tribute to the humanitarian work that First Lady Melania Trump has done with children in Africa, or highlight her anti-bullying campaign here at home. Since Ivanka is President Trump’s daughter, however, none of that matters to perpetually aggrieved liberals, among whom the Trump surname inspires only extreme outrage. Liberals also say women should be celebrated and not shamed — yet they ridicule a dedicated daughter, wife, and mother who has become a role model for millions of girls around the country. 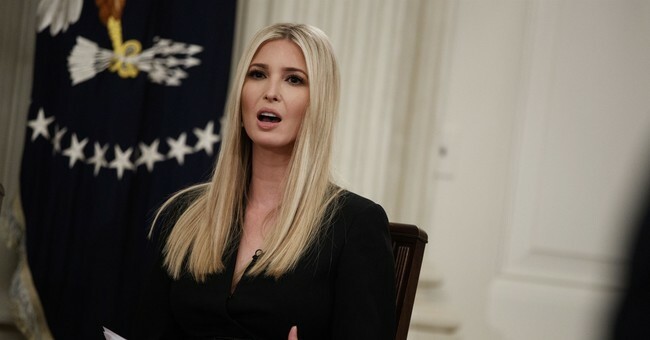 Throwing crumbs at Ivanka Trump is not female empowerment — it’s a disgraceful gesture of hypocrisy that glorifies sexism, bigotry, and hatred for women who happen to be conservative.